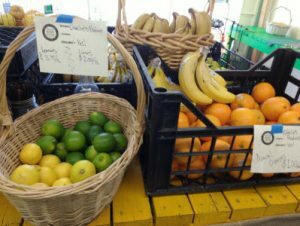 We have a nice new crop navel oranges, along with regular lemons and limes. Buying bananas at the Coop really helps us, because we have to order them in 40 pound shipments. Fortunately, we have a member who likes to eat a couple pounds a day (OK, he’s an endurance runner), but we would appreciate a little more sales before they’re turned into banana bread. Other Fresh items are big heads of CAULIFLOWER and dark green Laccinato KALE and BABY SPINACH. 1. January 13, 1:00: Open Your Internal Pharmacy–understand how the body works and what is taking place inside. Learn how our bodies make their own medicine and how to improve our health with the “pills and skills” approach. 2. January 27 1:00: Make Health Your Hobby–Understand the health and wellness journey, how to set attainable goals and the importance nutrition plays in overall well-being. The location of the workshops is CrossFit Anacortes at 506 30th Street #7. The workshops include a workbook and a snack! Each runs for about 1.5 hours. 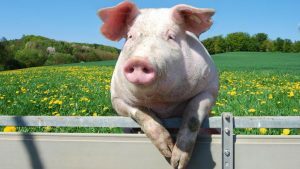 2019 – YEAR OF THE PIG !